Walking Trails off Tourist Drive 33 | Travel Ideas! 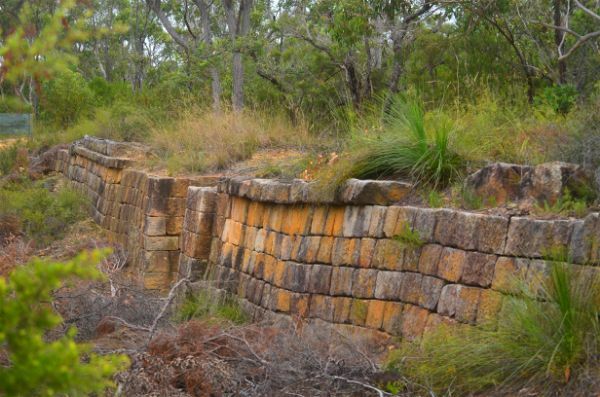 This walk takes you to the remains of Australia’s fourth oldest bridge, which was built by convicts during 1831. This is an easy 2-hour walk through Australia’s beautiful flora and fauna, and in particular through an abundance of bird wildlife. Quite an isolated and peaceful track, which sometimes feels eerie especially at the bridge, and perhaps that’s due to the thoughts of what the convicts had to endure to complete this amazing engineering feat of its time. Wollombi Road is off the Great North Road (Tourist Drive 33), this dirt road takes you to Mogo Campground (it is a 20-minute drive on this dirt road), where the walk begins. 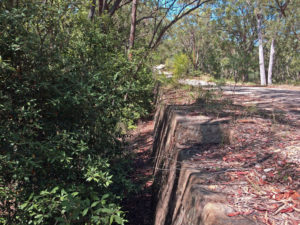 There are another two historical sites to see on this road, the first of these is on the corner of the Great North Road and Great Northern Road (becomes Wollombi Road); the Convict Trail (Bucketty Wall Precinct, this area is another example of convict built fine masonry work), and a little further along the Great Northern Road is the St Albans Road Ramp. There is a sign indicating the St Albans Road Ramp, however, you will need to cross the road to see the remains of this historical ramp (it is opposite the sign, the side of the ramp is rather hidden). The ramp has been in use since 1830, when it was first constructed by convict gangs as part of the Great North Road (also known as the Convict Trail). Circuit Flat Walking track is accessible via Mogo campground (walk to the opposite end of the campground – from the carpark area). Following the trail from the campground – it will eventually come to a T intersection, where you will turn left, this is the Old Great North Road and within minutes you arrive at the bridge. 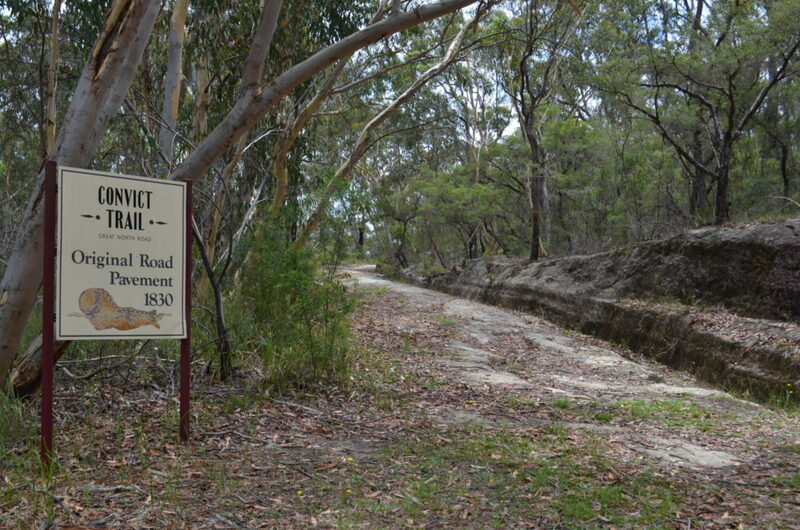 The Old Great North Road (closed to vehicular traffic to preserve its remains), was once part of the Great North Road which linked Sydney to the Hunter Valley, and is one of the 11 Australian Convict Sites on the World Heritage list. The Great North Road today, is used as an alternative, slower and scenic route between Sydney and the Hunter Valley. Mulla Villa Guesthouse is a sandstone convict built building nestled alongside of the Great North Road (which is easily spotted as you drive past this property). With its expansive land and property’s history, this is a fantastic place to not only explore, but you can read about the history (pamphlets are on display) while you have a bite to eat in the cafe or a meal in the restaurant – perfect for after a stroll through nature. Download the historical walk map and take a village walk through history. The first informative stop – Endeavor Museum, originally a courthouse – is where David Dunlop developed a solid career. For a bit of fun, we went on a mission to find David Dunlop’s tombstone in the cemetery, which we did! While we had a bite to eat at Mulla Villa, we read about the original owner of this property; David Dunlop, who was also the police magistrate for Wollombi in 1840. 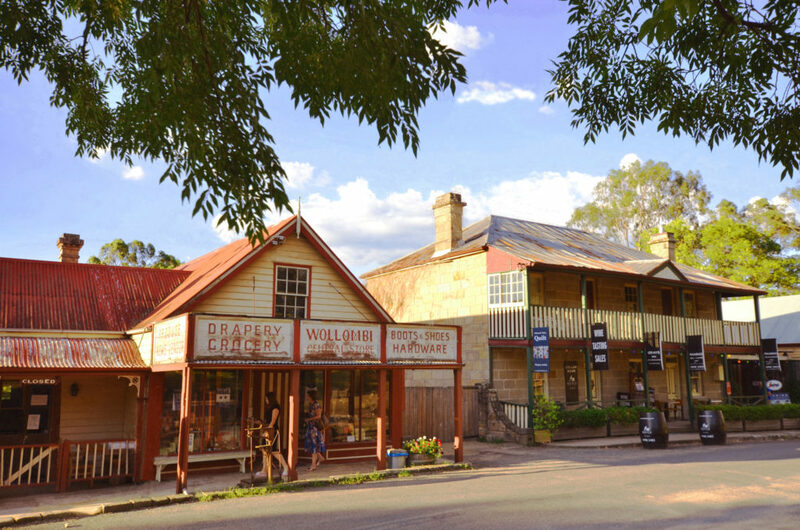 Other buildings with historical significance in Wollombi village include the two stone built churches, the post office, the general store, the school and the cemetery – the last resting place of many pioneers of the district. Amble to one of the many significant Aboriginal sites in Yengo National Park, in particular, Finchley Cultural Walk. 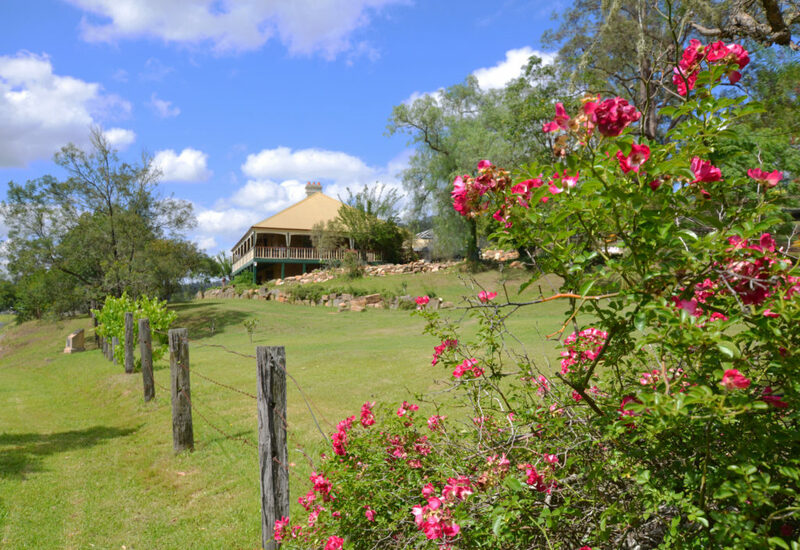 A 40-minute drive along a dirt track from Wollombi village. 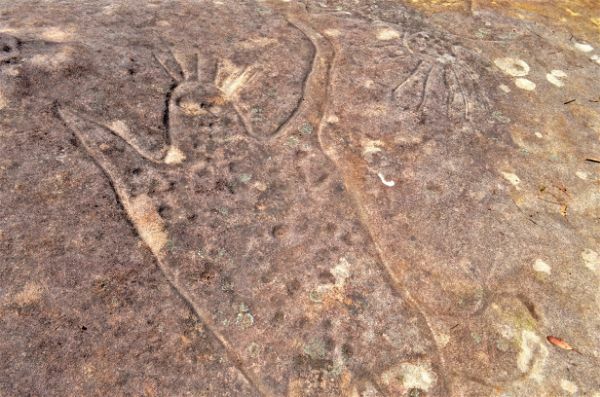 The rock engravings at this sacred site date back 13,000 years. 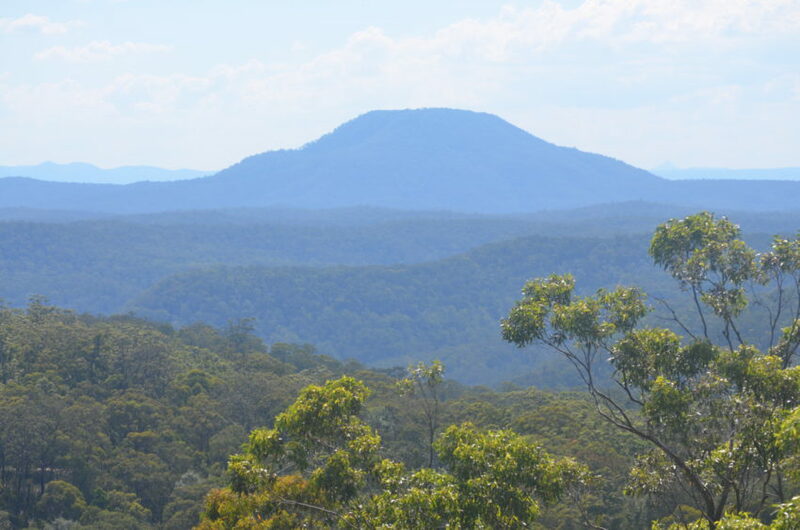 This national park is deeply connected to Wollombi. Wollombi is an Aboriginal term which means ‘meeting of the waters’. Wollombi would be ‘a meeting place’ for Aboriginal people on the way to Mount Yengo – a place of learning and ceremony. Mount Yengo is aptly known as: “Uluru of the East’. And the story according to indigenous mythology of how Mount Yengo received its flat top: Biame, the revered Great Father Spirit created the valley including the mountains and rivers in the region, when Biame completed his creation, he used his magical powers to ascend back into the spirit world, as a result, flattened the top of Mount Yengo (which can be seen from Finchley Trig Lookout). Today, it is still a well-recognised feature. 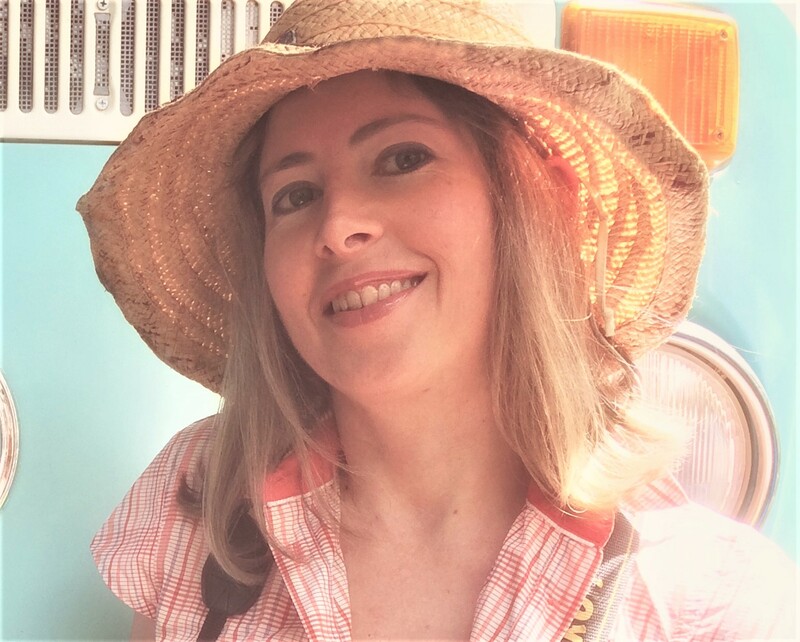 These four walks are in the surrounding areas off Tourist Drive 33, from Bucketty to Wollombi, and while they are great walks, it is also a great way to learn a little history about the area too! 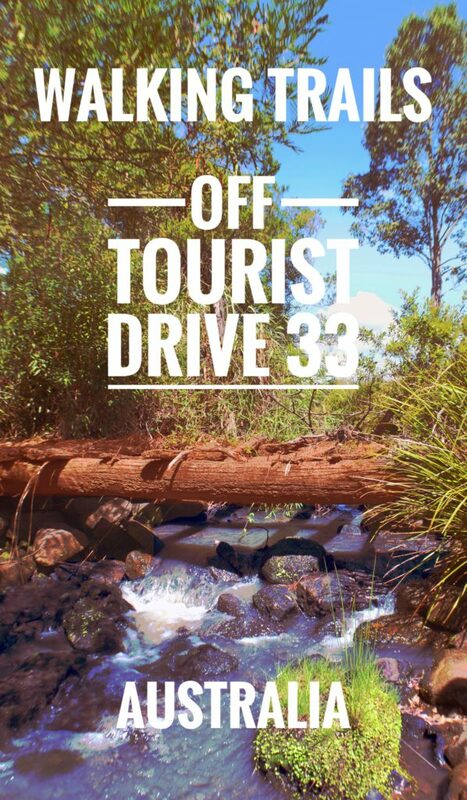 For more information about travelling on Tourist Drive 33, see our guide The Best Scenic Drive for Campers, Tourist Drive 33.